Get help with your DIY wedding flowers but still save money! 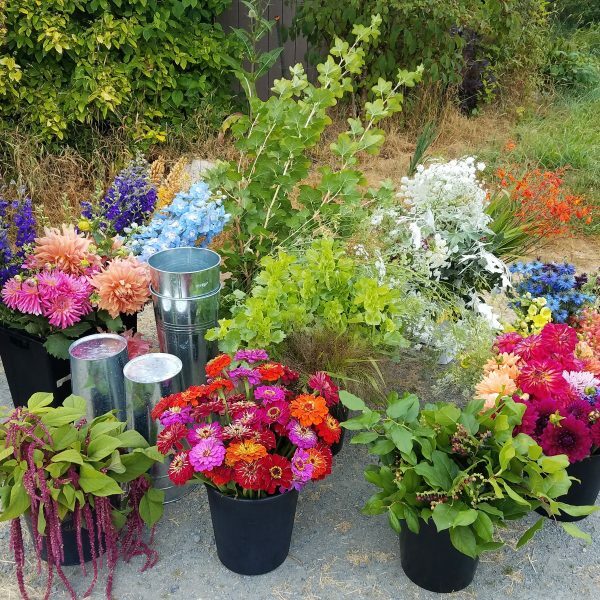 Are you thinking about going the DIY wedding flowers route for your Whidbey Island wedding? If so, there are a number of ways that I can help you out so that your experience is easy, stress-free, and still economical! The flowers shown above are buckets ready for delivery to a DIY wedding flowers party. The one on the right was harvested fresh from my own mini farm! Now to some, it may feel odd that a full-service florist would be willing to provide support for a DIY wedding flowers situation. Part of my business mission is to help couples have memorable, beautiful, and stress-free weddings that feel “like them”. To some couples, this means hiring me to do it all (and of course, I like it best when I get all the flower fun to myself!). But others may want time with friends and family to create their own flower arrangements. As a flower lover, I totally get that! 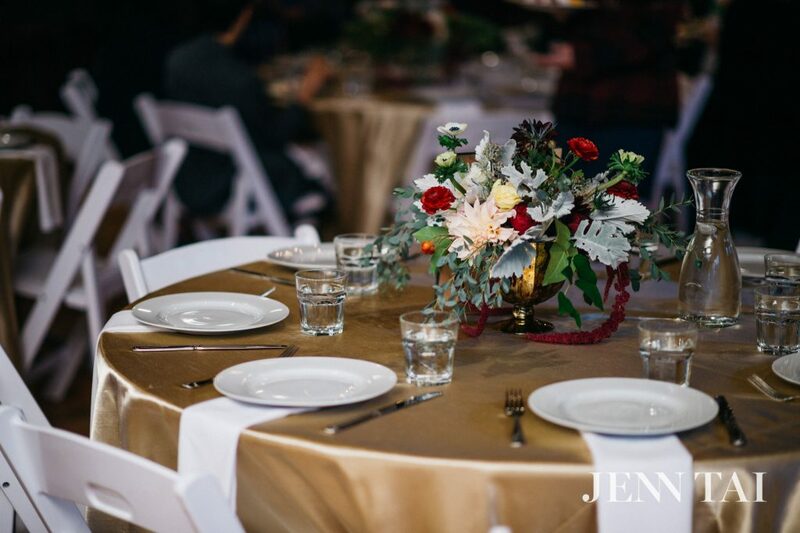 Since I believe any couple should have a flower-filled wedding celebration regardless of their budget and style preferences, I am willing to lend my support and expertise in any way that works best for you, the client. If you are a DIY wedding flowers kind of person, then my priority is to take some of the work load off of you. 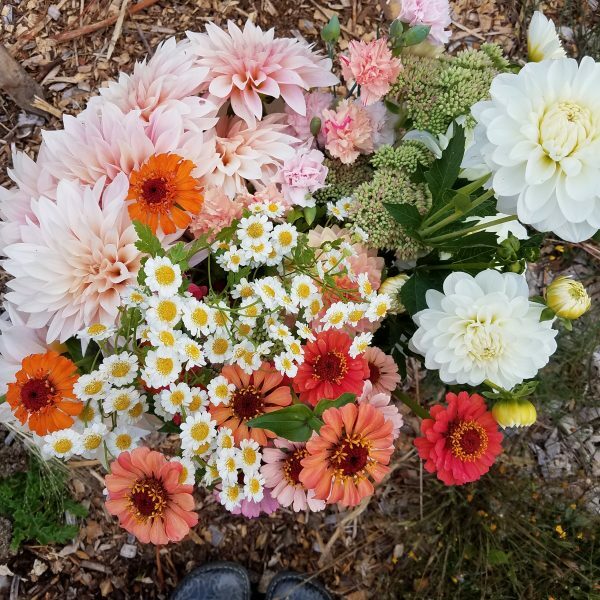 I want you to have fun without hassle, with high-quality, farm-fresh florist-grade flowers to play with. Here’s how I can help – and I work hard to keep all these services affordable. You may know what you want, but do you know where to get it? 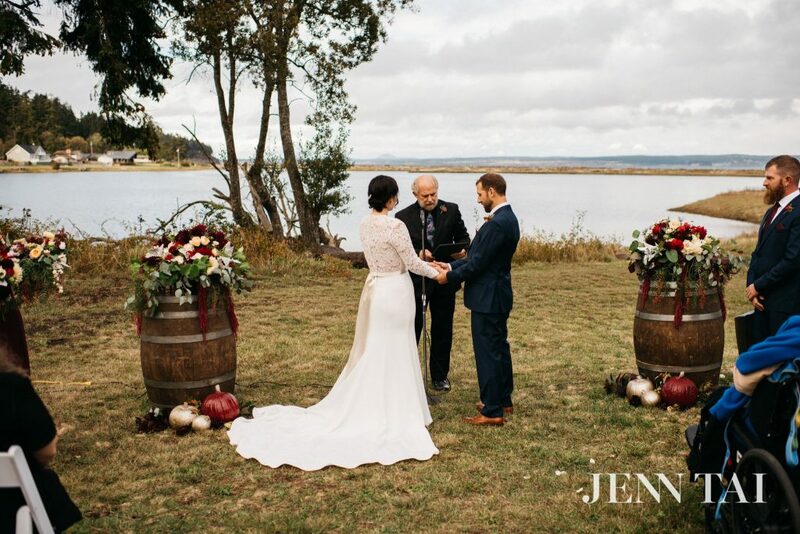 With all the other wedding details you are tracking, do you really want to hassle with chasing around to all the different farms to find the best flowers? Since I do this all the time, I know who has the best blush Dahlias or the prettiest garden Roses. Give me your list! I will carefully source it all, pick it up (and do quality check in the process), process it all to perfect readiness, and deliver it to you – in ready-for-fun condition, at competitive prices! 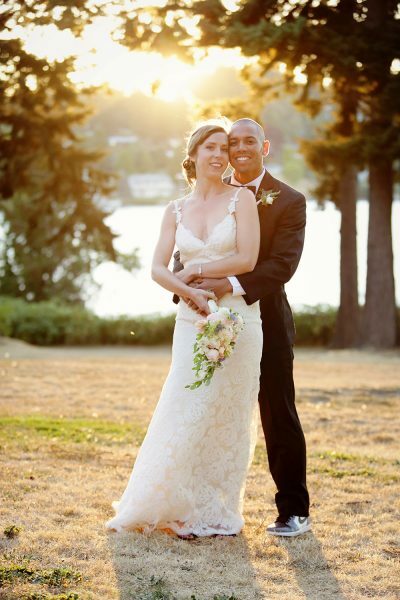 A wedding is a really busy time, so why not take some of the work out of it? You might have an idea of what you’d like to use, but have you considered how many of what stems per what kind of vessel; what goes together; what greens to use to tie all the flowers together, etc? For a small flat rate fee, I can help you develop a recipe. This is how the pros do it! A floral recipe really helps control your budget, and ensures that each piece you and your group makes will be beautiful! Here is your DIY wedding flowers insurance. If you have champagne taste but more of a Riunite budget, and you really want your people to do great things – why not offer them a little training? Imagine: Its the day or two before your wedding. All your besties are in town. Sip mimosas & have some brunch while you & your crew watch me show you my floral secrets. Learn my methods for foam-free mechanics (so no one has to be exposed to that nasty, toxic green flower foam, ick). I will show you how get your desired effect. Then, you and your friends share a special and memorable time making your centerpieces. You get professional results on a DIY budget! Here’s a couple pics from just such an affair. 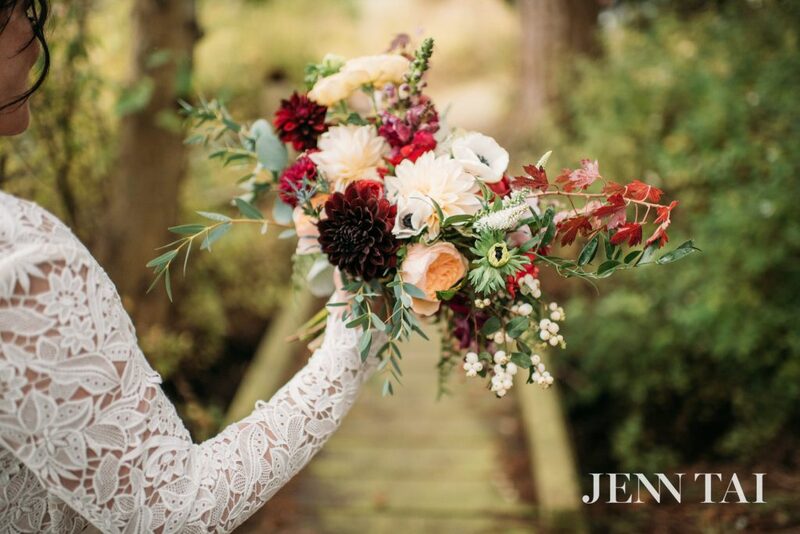 I helped this Whidbey Island bride source all the flowers (we got better quality and prices than online “discount” places she was originally considering). To amp up her savings as well as her look, she rented vases from me. I provided all the needed supplies and gave her crew a flower tutorial sesh. Look what they did! I’m really proud of their results! The couple saved a lot of money and they had the fun and memories of doing it together! The wedding party made these centerpieces after a little flower workshop sesh with me. The bride and her friends made these lovely ceremony pieces as well. I think the training paid off! Here's the bridal bouquet I made. Is it too much to confess that I'm still in love with it?! Another way to save money, amplify your “look”, and save yourself the time and hassle of running around and hauling stuff is to rent your vases from me. I have, like, a million to choose from in a variety of styles (and more ever-arriving). I’ve got mercury glass compotes; ceramic vases & pots; wood and bark boxes and containers; glass cylinders and more (not to mention candles & holders, easels, frames & more). Here’s my rental gallery; if you don’t see what you are looking for, shoot me a photo – I may well have it, or have access to it at a great price. Sometimes I haven’t gotten around to updating my website with my latest offerings. 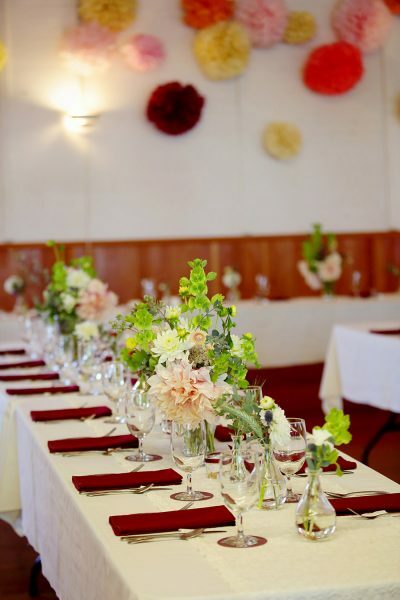 Let’s face it – there really are some skills involved in pulling off certain types of floral creations. Some things, like a bridal and bridesmaids bouquets, will be in just about every photo! And others, like boutonnieres, corsages & flower crowns, need to be made at the last minute. This is when your friends and family should *probably* be enjoying the rehearsal dinner or preparing their toasts or getting a manicure or whatever, not freaking out over technical flower creations. So have some fun, but don’t make people stressed. Leave that job to the pro and let your pals relax. Let me create your personal flowers – the bridal and bridesmaid bouquets, boutonnieres, corsages, crowns. 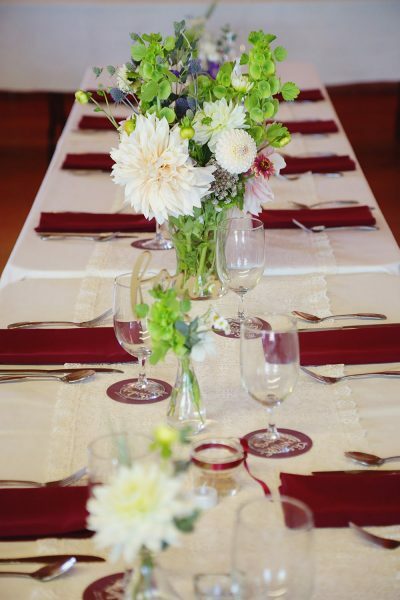 You will still have saved bucks by letting your family and friends do the centerpieces. Here’s a peek at a wedding where I made the bridal bouquet & boutonnieres, but the bridesmaids & friends made the centerpieces with flowers I helped source & recipe. I think it turned out super cute! And below her centerpieces, you can see the bridal bouquet and boutonniere I made for her & her fine man. So if you are going the DIY wedding flowers route, don’t go it alone! I am here to help! For flower fun with no stress, get in touch with me! I wishing you a beautiful wedding!